North Node Axis in Leo – The South Node in Aquarius and the North Node axis in the Fifth House – The South Node in the Eleventh house. The South Node in AQUARIUS makes you be in a comfort zone on behaviour in organizations and teamwork, in areas where volunteering is a value to society, in using of technology, in the attraction to exact sciences. In other words, you have the experience of other lives in these domains, yet being the South Node placed in Aquarius, you want to use this expertise in an original manner without following the rules of the society you live in. This kind of people are scientists who work on their own, experiment and make discoveries that no one understands. Then you look at the ruler of the sign of the South Node, in this case SATURN is the ruler of Aquarius. Find where is Saturn placed in your natal chart and you will know how you tend to react to keep yourself in the comfort zone of the South Node. It is also useful to analyse the aspects between the lunar nodes and the MARS. The South Node is an irresistible attraction, an experience you want to repeat to infinity. The North Node in LEO amplify the qualities of this sign and especially of the planet that is ruling the sign of Leo, SUN, so you are concerned about your own image but still you are shy, especially when you are in the middle of the people. This shyness can be diminished if the Sun is strong in the natal chart (in dignity or in exaltation and/or in houses 9, 10 or 11). You will meet many actors with the North Node in Leo.Then you look at the ruler of the sign in which the North Node is located, in this case SUN is the planet that rules the Leo. 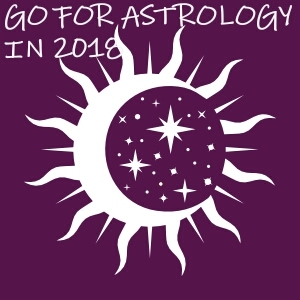 Find where is the Sun placed in your natal chart and you will find how you tend to act to get out of the comfort zone by learning some outstanding lessons, how you accomplish your mission. It is also useful to analyse the aspects between the Sun and beneficial planets (Venus and Jupiter) and malefic planets (Mars and Saturn). The next month I will post an article about North Node in Virgo and South Node in Pisces and/ or North Node in sixth house – South Node in the twelfth house.